Manchester United marked Ole Gunnar Solskjaer’s first game as permanent manager with a 2-1 win over Watford at Old Trafford. Marcus Rashford and Anthony Martial scored for the Red Devils before Abdoulaye Doucoure pulled one back late on for the impressive Hornets. Here, we ruminate on five talking points from the game. 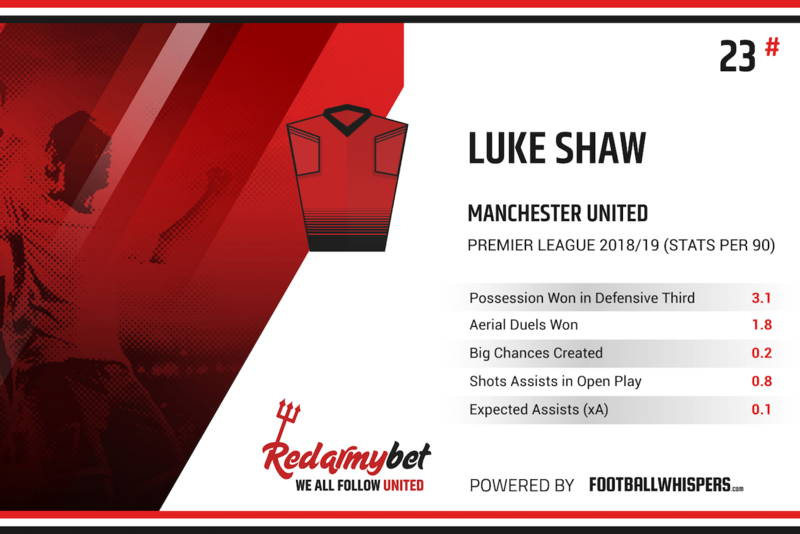 An outcast at times under Jose Mourinho, Shaw has quietly become one of United’s most dependable players under Solskjaer. The left-back has been practically ever present over the last few months and was largely responsible for the victory here. Known more for his attacking capabilities, Shaw drove forward and sliced open the Watford defence to send Rashford through for the opener. He was also involved in the build-up for the second goal. With 77 touches, Shaw was regularly involved for Solskjaer’s side but he did not shy away from United’s meek second-half display in which Watford controlled proceedings, describing it as ‘awful’. It’s perhaps indicative of a shift in Shaw’s mindset, with it difficult to imagine him being so scathing about a Mourinho-led United’s display. But Shaw has grown and now resembles a more senior member of this United side, despite still being three months out from his 24th birthday. He still has improvements to make – he tends to switch off at the back – but he’s undoubtedly set himself on an upward trajectory. Perhaps fatigued from his exertions with France over internationals week, Pogba was far from being at his brilliant best on Saturday. The Frenchman, who has been one of United’s standout performers under Solskjaer, struggled to assert himself with Doucoure and Etienne Capoue working well to marginalise him. It will be interesting to see how Solskjaer uses Pogba for the trip to Molineux on Tuesday night with the Norwegian hinting that he may look to deploy the 26-year-old in a deeper midfield berth, like France boss Didier Deschamps. United fans have long called for Pogba to start higher up the pitch. Solskjaer answered those calls after taking over in December but teams have begun to quell Pogba’s threat in recent weeks. Solskjaer may be forced into adopting a new plan for Pogba on Tuesday, especially given how he failed to influence the FA Cup defeat at Molineux in March. Mata: time to say goodbye? When a player attracts the level of adoration that Juan Mata has in recent years – through both his affable personality and Common Goal initiative – it can be more difficult to accept their decline. However, the Spaniard – who remains a gifted playmaker – increasingly looks as though he will be the odd one out at United come the summer. Mata will turn 31 at the end of this month and while he has contributed plenty during his five years at United, it seems as though the time is right to wave goodbye to the former Chelsea man. Yet to agree a contract extension, it would be difficult to see him go but it’s equally difficult to see where he fits into United’s future. He has never been quick enough to justify a place out wide while it’s unlikely that he will command a regular starting berth through the centre next term. Tucked in behind Rashford and Martial on Saturday, Mata created just the single chance before he was hooked off after 63 minutes. We’ll be surprised if he starts many more games before the end of the season. United have a penchant for surprising stats. Barely anyone believed that the 2-0 Champions League defeat to Paris Saint-Germain in February was the first time the club had ever lost a home game in Europe by a two-goal margin. Rashford and Martial scoring against Watford produced another shocker this weekend. For the first time since the 1995/96 season, four United players have reached ten goals in the same season. Given the depth of attacking quality the club has had in the interim, it’s astonishing to think it’s taken 23 years. Rashford and Martial joined Romelu Lukaku and Pogba on double digits. Solskjaer will be hoping all four can add a few more with so many big games to come this month. Make no mistake, United were less than convincing on Saturday. After back-to-back defeats to Arsenal and Wolves, this was not the sparkling exhibition of attacking football Solskjaer needed. No, for much of the game, United simply hung on before delivering a killer punch, with both goals arriving in smash-and-grab style just as Watford seemed to be threatening. The players will not have managed much of a rest in between Watford and Wolves but they can ill afford another lethargic display at Molineux. 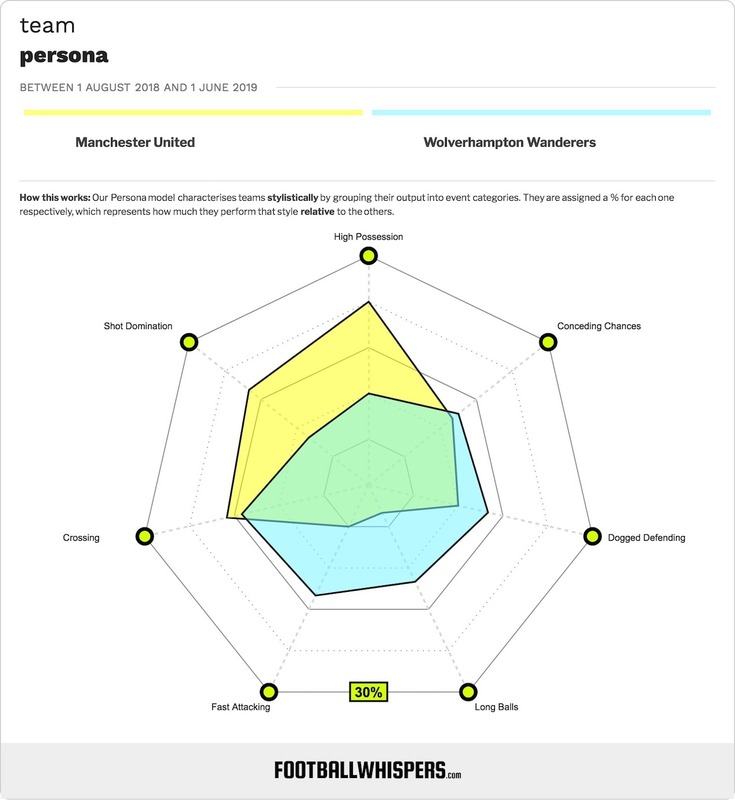 United were second best there in the cup and must be much smarter about their business up against Wolves’ counter-attacking style. With Tottenham and Chelsea not in action until Wednesday, this is an excellent opportunity to boost United’s top-four hopes. They simply cannot afford another sub-par performance in the Black Country.